Day 10….It is nice to see all the great comments about how much you love these posts…at least I know I am not wasting anyones time…so keep commenting! 1. Does not mess up the other seams around it. 3. You can also press them to one side too…. The 45″ is great for rows that need to be pressed open, also sashings, borders and large strip sets selvage to selvage…as well as all blocks…this is the one to get if you only want to buy one. The 18″ is great for any open seam pressing in blocks or small strip sets..
Now… I don’t need the mini, because I can use the 18″ for any smaller seams…but maybe someone requested it for traveling for mini blocks…my guess is there was some waste and they just covered it and now there is a mini too!!! For yesterdays winner…we have a 6×12 omni grid along with some more 5″ Charm pack of Floral Gatherings Shirtings…The winner is..
A quilter can NEVER have too many rulers! I love Creative grids rulers, wish I could buy them all! Debbie…please send me your address at primitivegatheringsquiltshop@yahoo.com and we will send out your prize! PS…Nick is picking numbers for the winners…if you look at the comments each one has a number…. Wow—–thanks for this tip, had never heard of these. Yep, I have burned my fingers many times. I have never heard of a strip stick, but it seems like it would really help with pressing. I am looking forward to trying it! I have never heard of a Strip Stick, but it is a must have. 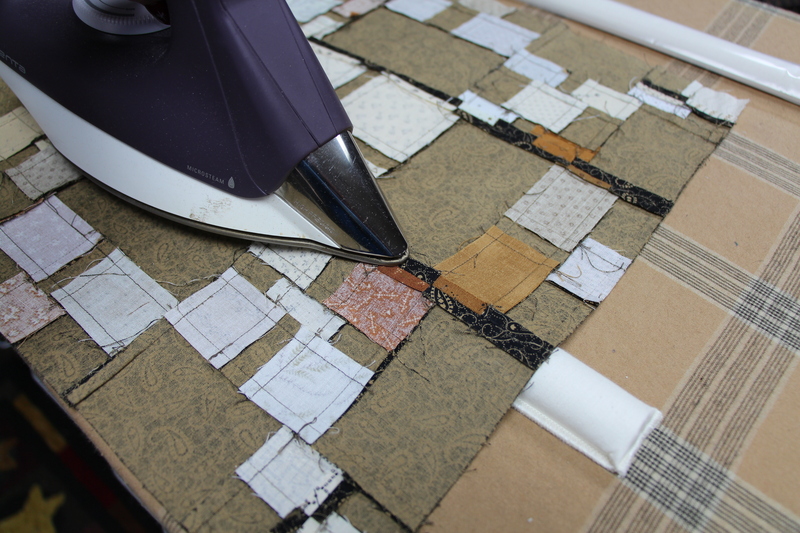 I’m working on several small quilts and I’m always burning my fingers…I love gadgets! I’ve never seen these before and sure could have used one last night! Thanks for the info–another gadget I will have to have! I needed that strp stick last week as I was putting strip sets together for your pattern Flower Penney Garden. What a great idea. Lisa, these strip sticks look like a “must have” in every ones sewing room. Well, I know I need some. Looks like no more burned fingers. Thanks for these posts about notions. I’ve not tried these strip sticks either…..Would think I should add them to my gadget collection! It`s the first time I see that tool.This is a great heper that must be added to our tools! This is a great gadget I too have never heard of this. I have many a burned fingers this would cure that problem. Awesome! I sew in a small space and using the ironing board gives me no room to move in my sewing room! This would be great to have to use on the table! ! Much like your friend I too am a gadget person! Ooooh, I’ve heard of these pressing bars and I definitely must have one!!!! WOW, What a great idea Lisa, I have not seen this before but sure looks like something that would be neat to try. Keep the needful things coming, you have such great projects!!! Another great tip about something I didnt even know existed, thanks again Lisa. Very interesting…a tool that I have not seen before. Loots like a must-have. Wonderful gadget! I want them too. What a great tool to have . Thanks for letting us know about them. I’m not a gadget person either but this tool makes sense to me – anything that makes pressing seems easier and more accurate. Looks like a good gift for my quilting buddies. What a great idea. Just love it. No more burning fingers or not as much. I have not seen these before. I would love the 18″ size. What a great idea! I love reading your lists, keep the gadgets coming! Okay this is a great post for two reasons first is I am mostly a self taught quilter so reading the quilting blogs has helped me so much and now I know you don’t always iron your seams to one side and this is why my smaller stars have so much bulk and are hard to quilt yay, thank you so much for that. So on that theme this tool looks like the greatest thing can’t wait to get it and try it out. These posts are very helpful. Awesome tool! How many times I have had to re-pres because I pressed wrinkles into adjoining areas. Thanks for sharing!! My friend was just recently telling our group about this method of pressing. I am a gadget gal and probably need one of these. Sounds like 18″ is very versatile. Just when you think you have seen it all … Strip sticks! Great idea … I iron all my seams open and have the burnt fingertips to prove it! Congrats Debbie thanks Lisa I am a got have it person as you already probably know but never heard of these like your friend nancy I’m the go to so this will be joining my list of what to get from the 12 days . Hope you’re over your sick stuff. Can’t wait to see what comes tomorrow! So glad your Christmas posts are back! I miss the blog hop. Just received your new mug filled with fabric – love it! These look very interesting. I make small blocks all the time and this will be a helpful tools. Merry Christmas! This is a tool new to me. I would love to try it. When I win (positive thinking) I will have lots of opportunities! Thank you! I am a pressing fanatic!! I have worn out irons.,..I just might need these!! This is definitely something I will have to try. Love these 12 days of Christmas posts & all your great ideas. These are new to me, and sound like something I need for a number of reasons, not least of all my burnt fingers! This is a great tool that I can use to eliminate pressing the wrong seams. I do “need” this tool. Never head of a strip stick but my burned fingers would sure appreciate it. I have never heard of these before but they sound great. Now,which size to try first. My sister is like your friend Nancy. If she finds something she likes she is on a roll making 10 or more at a time. This is an amazing product that I have used for a while. Love it! I have never seen these before and I am definitely a gadget girl. What a great idea. One that I would certainly use. Learned something new today, I hadn’t seen the strip sticks before, looks like they would be helpful! First let me say I love your 12 days of Christmas. I have never heard of these but think I might have to get the 18 inch one, small projects are my passion. Another great little tool! Thank you for the tips and tricks – I always learn something new here! And thank you for the 12 days of specials and chances to win one of these goodies, Lisa! I’ve never seen these either but they look handy to get a deep crease. It’s snowing slow here, just like the snowflakes on your blog. Those make me smile every time they start coming down! I have heard of larger pressing tools for tailoring but these are PERFECT for our quilting needs….no lumpy seams & no burnt fingers! I have never heard of this before. It sounds very useful and a quilter must have. Thanks for sharing. Never heard of this stick BUT I make little Jo Morton repros a lot and open seams all the time. It looks terrific. Thank you for the chance to win and Happy Holidays to you and your kin. I’ve been wanting these for quite awhile. My parents always give cash for Christmas-just might have to get some new gadgets. I wondered if these sticks were “worth it”! Sounds like a definitely! Thanks for the advice with all of your tips! This is something i’d like to try. What’s it made of? Thanks for sharing another helpful tool. Wow! These are a ‘new to me’ gadget and a new ‘must have’. Well, isn’t this the niftiest tool? Anything to make pressing more effective! I have never seen these sticks before. They will save my fingertips when pressing seams open. Thanks for the tip Lisa. I am a “gadget” person and have never seen these! Looks like I will have to get one of these as I do a lot of small piecing. Love your blog! You are so inspiring! This would be a very helpful item! I have never seen this! It looks very useful! I’m not a person that irons. Until quilting my husband ( a marine) did all ironing. 1st quilt class my instructor told me I needed to learn how to iron. I.was in my 50s and not ironing had worked for me so far. Now I only iron my seams and blocks. These will be very helpful. You had me at, ‘does not seem to burn the fingers’. It seems I’m always sporting a burn here or there. What a clever idea. I also decided I had to have the seam ripper with the magic end, especially since I had an absolutely hellactious day yesterday sewing and ripping seams, over and over, because my brain, such as it is, was on overload and not processing properly. Today I am baking, taking a break from sewing. I’m not a person who irons. The only thing I iron are my quilt blocks and seams. Looking forward to giving these strips a try. What a great idea -thanks so much for sharing! You are certainly not wasting my time….as a new quilter I can use all the tips, hints, and inspiration I can get. I have never heard of the strip sticks either. If they save burnt fingers then they are a needful thing. Thank you and these tips are much appreciated. Wow… never heard of them. And I’m like your friend Nancy… I LOVE gadgets. With my Mom it was kitchen gadgets and I have plenty of them too. 🙂 I’m keeping a list so I can order at the end! Thank you! I definitely see the usefulness of the strip stick. You can’t imagine how many times I could have used one of these in all my years of quilting. It could take away those frustrating moments of pressing some seams!! This is a for sure MUST have item!! Thanks for bringing this to our attention!! This looks like a very kool and needful tool! Must put on my Santa wish list. At my last quilting sew in one of the gals there had one of these. Imagine a group of ladies standing around watching someone press seams open! But it really it amazing. Thanks, Lisa, for another great post! What a nifty idea. i I wish I would have thought of these!! I make a lot of small blocks and this would be wonderful to press their seams open. I never heard of this before. Will have to check them out. Imagine all the saved fingertips! What a great idea! Wow, I love this. I haven’t heard of these either, what a helpful, “needful” notion. Besides saving my fingers from burns, it looks perfect for pressing strip sets so they stay straight. I struggle to keep strip sets from going “wonky”. This is a fantastic product! I have the 18″. You won’t regret the purchase! I am loving these posts! Stay warm and enjoy! Oh my goodness! I have never heard of the strip stick so thank you so much for showing us that tool. Pressing my finished quilts is usually a pain and so I can see how that tool could be very helpful! What a great new prooduct! it cetainly would come in hany when working in small areas! I was pressing seams open one day and said someone needs to make something to make this easier. I didn’t know about these sticks, thanks for sharing about them. I will be buying one or two. I have never heard of these before! But I can now see it is a must for my sewing notion collection! I am a lot like Nancy, always looking for something new to make life easier….lol…..
Love ,love your posts. I knew there had to be a better way to press seams open–I’m ordering these, I’ve learned so much from your posts. I have never seen these before. What a great idea! I love to iron (I know…weird) and anything that makes it more accurate is awesome. I have to admit I’ve never seen this before. I obviously need one as I’ve burned my fingers on more than one occasion. Thanks for showing me something new, and on sale besides. Wow…what a good idea! Perfect for the open seams on the little stars! Great to see something new…looks like a terrific timesaver and also saves your fingers from burns! A guilting gadget that I have never seen! I have to have this, I am making a list for Santa, I have not been naughtily this year…….well maybe just a little but ……..whose counting! What a great gadget that I have not heard of. I also press a lot of seams open, and this would be so handy to have. Thanks for showing. I’ve never heard of this gadget before, and not burning my fingertips when pressing would definitely be a plus. Thanks Lisa! Wow! I never knew such tool existed!. Looks handy! I definitely need one to finish the PG tumbler kit I just completed! All it needs is to have the rows pressed! OMG Where was this gadget last week when I really needed it…I’m still nursing one of my burnt fingers…lol! The strip stick is going on my after Christmas list. Keep the tips coming, it’s always fun to learn something new. Wow, what a great idea after I havealso ‘burned’ my fingers opening many of the seams on some of your small fabrics. Getting ready to sew the seams in the nine patch as I have all strips cut. Hmmmm… I never even knew something like this existed… pretty kewl! Wow, sewing “hams” for quilters! Perfect new tool, thanks. What a great idea! I am always having to repress all the seams with every row or block I add because I have gotten them all “catty-wompous”. I’m all about the gadgets that can speed up the tedious parts of the quilting process! Wow! I hate when I burn my fingers. It would be great to have a tool to stop the burning. Thanks for the tip! I would love to have one. I have not seen these before. I will try anything to keep from distorting things when I press. Stii working on becoming an accurate piecer! LOVE the strip sticks! I have the two larger sizes but would adore the mini for retreats. And also to not take up so much real estate on my ironing board when working on tiny blocks! W. I didn’t know that it was better to press the seems open on my strip quilts.Thank you. We need more than 12 Days of Christmas . How about 20? Wow”. No more burnt fingers. Not a real gadget person either but this looks really useful , please keep the great ideas coming! I’m not a gadget person either, but I’ve never seen these strip sticks before and will have to check them out at my local shops. My hubby bought me something from your list last year, and I just love it – Rowenta travel iron. I’ve been searching for these strip sticks for over a year now–ever since Kimberly Einmo blogged about them. I keep googling, hoping that some store I stop in during my travels will have them, or I’ll find a vendor at the major show. I guess it’s time to order them on-line, and wrap them up from Santa. I am always amazed at the tools & gadgets that people’s imaginations come up with – this is a brilliant product! OMG…the Strip stick is brilliant!! I HATE ironing seams open. I must have one (I’m not a gadget persons either)! Thanks again for your posts!! I was SO hoping you would do the Twelve Days of Christmas again this year! Love my little snips you recommended last year! Looking forward to Strip Sticks now! See you tomorrow – on your post. Thanks so much! Great clever item to have. 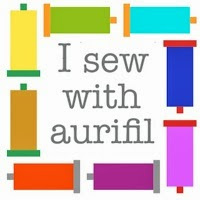 I am always looking to make my quilting easier and faster. I’m in denial about being a gadget girl….hmmmmm but I think I might be. They all seem so useful to me. I have never seen a strip stick but oh my I need one. Love this 12 days of gadets. I am such a huge fan of Primitive Gatherings! I have always been a gadget girl…almost 30 years! I have never seen these Strip Sticks but am positive I HAVE To have them! very soon! These really are the best thing ever for pressing seams!! What a fabulous idea. I never saw these before. Thanks for letting us know about them. I have never seen this product before but I’m sure they help to keep the blocks/seam line straight. If you praise the use of them, they MUST be a useful tool. When I first started quilting, I was also a gadget person. Now, I need to justify how much I will use the new tool before making the purchase. This Needful Thing will be a new addition to my wish list. I think your creating collecting monsters from these posts! I just may use this une if it prevents those scorched fingers. Awesome tool, I might have to get one of these. I’ve never seen these! That looks like a nice gadget. Thanks so much for posting these ideas! Strip stick – interesting, I never heard of it, learn something new every day! Now I’m curious to try it. A quilting buddy told me about the strip stick, but this is the first time I have ever seen one. Seems like the perfect tool to keep me from burnt fingers. I wait all year for your Christmas hints and tips about your favortie products! Never heard of a Strip Stick. Looks like a great tool to have. Would love to try it. 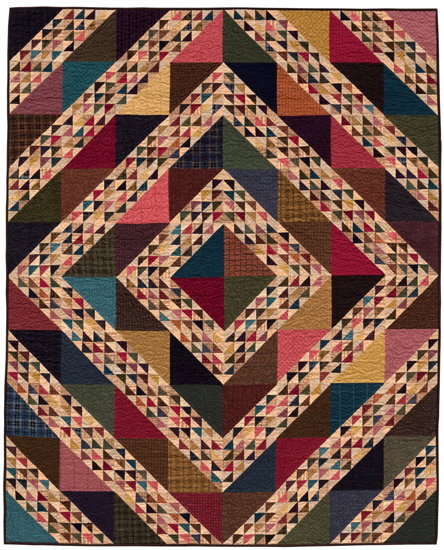 Wow – in the past 3 days you have given us very helpful hints to make quilting more fun! I love the finished quilt but sometimes the “getting there” is a real pain in the rear. Thanks, I look forward to each of your tips every day. Merry Christmas and I hope you are feeling better. I have never heard of these either. Thanks for the chance to win. I would love to try them. I don’t usual press seams open (old school) but on a small project I could see how this would help. I did put one in my shopping cart! Never heard of the strip stick. Putting it on my wish list. Thank you for all your wonderful tips. My mother and your friend Nancy need to get together, my mother has every gadget know to mankind and then some, and she just can not understand how I can make one thing without all those gadgets and is always trying to buy me some kind of gadget, I love the simplicity of my sewing, would go crazy with all the stuff she has. I do think I need one of those strip sticks though, as I too love to make the “mini” quilts. Thank you so much for sharing all the great things that you have learned a long the way. Love this!! Never ever saw this before. Thanks for sharing. I have never heard of this either, and what a great idea! I’ve been making a lot of tiny (3″) blocks lately and those open seams can be a real PITA!! Thanks once again! I have the set of sticks. Which I do use the 18 one the most. The twelve days are always fun!!! I saw these when I went to a quilt show this summer but they didn’t have the length I wanted. I then forgot all about them, thanks for the reminder!! I didn’t know about these little guys. They will save my fingers for sure. Count me as another clueless quilter. These look like a must for my sewing stash. I haven’t seen the stick before but can certainly see where it would come in handy! Love this series of handy gadgets, thanks for doing this! Love the idea of these sticks as it is hard not to mess up other seams on the back when pressing! Great looking tool. I would love to have this-no more burned fingers! Had never heard of them! Thank you!! This looks great! I hate burning my fingers when I’m trying to press seams open. Thanks for the heads up. This little gadget looks very cool! I have burned my fingers so many times trying to press seams open! 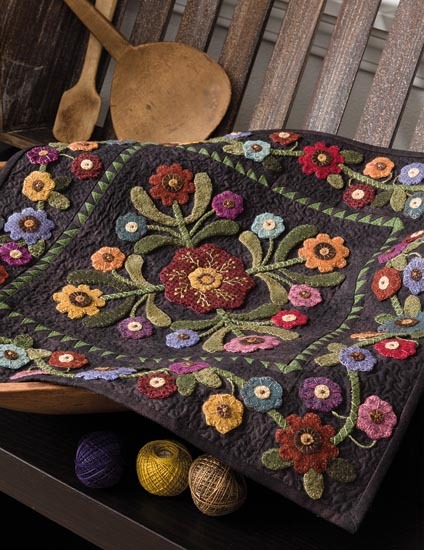 I saw these at the Lancaster quilt show but was not sure how well they really work. May have to give them a second look!!! never seen these before but it’s going on my wish list. I love the 12 days of needful things, we get so many great tips and tricks from you. Keep up the good work and Happy Holidays to you and everyone following these posts. I have never seen these before. They look like one of those must-haves. Thanks for all your tips. These sound great. Thanks for sharing and for the chance to win. Have a wonderful holiday! These are the greatest! I only have one set so another is just what I need! Love your tips! I’ve never seen these before. I love this idea! I always seem to burn my fingers. This will be a must have! Thanks Lisa! I love your gadget suggestions and look forward to them. I got quite a few from your last years list and use them all the time. Thanks for your suggestions. I have never seen these before, I will be checking them out. What a great idea! A must have for sure! I was pressing long strip sets last night and I thought to myself that I wish there was something to help keep the seams from getting the little puckers. This looks awesome. Definitely will be ordering this tool. I’ve never heard of these before! I’d definitely like to have them when I’m making mini quilts. Thanks for sharing about these! I have never seen or heard of such a thing! Thanks for bringing it to my attention, it sure looks handy. I think Santa is done shopping for me but I may have to treat myself after the New Year. Of course, this makes sense. Looks like a great solution for pressing those seams open. I have never seen these before. What an awesome idea. Thanks for sharing the 12 days of Christmas. I have been pressing seams open for a long time. This item sounds like a great idea! I like making small blocks and might give this a try. Thanks for the tip. I’ve never seen these, but would love to try them. That looks like an incredibly useful tool. Reminds me of the old “sleeve pressing” roles of days gone by. These posts are so helpful, Lisa. Thank you! I learn so much from you, Lisa! Thanks for all the tips and the opportunity to win 🙂 Merry Christmas to you and your family. Would love to give these a try. Crossing my fingers I am lucky and win. I would love to give these a try!!!! Have never seen these! Would sure love 1! Gonna hafta put this on my Christmas list! How is it that I am the ironing queen and I have never seen these? I would love to try the STRIP STICK out. Wow, the strip stick looks like a really handy tool. I did not even know that they existed. Thank-you Lisa. Hope you are continuing to feel better every day. Can I have these items sent? I like the strip sticks. Would like one of each size. Like your posts keep them coming. I have never seen this before. What an awesome tool. This is a must have. This looks like a must have. Would be great for those wool seams too. Never heard of such a thing but think I need it!! These look really useful. Have never used but will definitely give it a try. Thanks for your suggestions, Lisa! What a great “gift” you just gave to all of us! I had no idea there was anything like this out there – thanks! I had never heard of a stick strip before. Thanks for showing us. It looks neat! Hmmmm…never heard of a strip stick…what a great idea…always impressed when someone comes up with a great idea which we all find so helpful!!! Thanks for the info and sale!! This is a great invention, got one for doing Jo’s little women, did not know about 45 inch, this must be great for larger seams. About a year ago I read about these, so my DH and DS cut a broom handle in half and then did some sanding and alterations on it. I don’t think it works as well as the original but is better than nothing. Mind you I still have not covered it, I lay batting over it when needed. Maybe that is why it doesn’t work as good as it should. The 45″ would be useful. Hope you feeling better. I have heard about these sticks but have never had the opportunity to use one. It sounds like just the thing to press my seams open without burning my fingers. What a great idea! I can’t wait to try the Strip Stick! I have not seen this strip stick but I definitely need it! What a fabulous item and useful. Thanks for sharing! Wonderful products, can’t wait to order. Thanks for sharing and showing us. I have to admit I AM a gadget person. And this looks like something I really NEED to try! It looks like I’m going to be buying myself a new “gadget”! These look so cool and a great help for pressing those open seams. What a great idea! I am always burning my fingers. Are you kidding, Lisa? Who could NOT want to read your great messages! I have a strip stick and think it is the coolest gadget out there! Keep your posts coming!! I do lots of mini quilts that need open seams. This sounds like a good gadget to have. I have not seen the Strip Sticks where I live……but will definitely buy the 18″ one for my quilting room. Thanks for the tip, Lisa. These sound great1 Never knew they existed until you wrote about them. I am ordering a set. I am a gadget person and have never seen these. Might have to buy myself a Christmas gift. Keep the wonderful ideas coming. I love reading your blog! And sometimes I learn something, but always am entertained. Who knew there was such a great little tool! Thanks for sharing your secrets. Looking forward to seeing your other needful things….! THis is the first I’ve heard of these strips! I like the looks of them! I’ve been wishing for a “ham” for when I press open pillowcase seams–wonder if this would work! Thanks for all your tip’s, I love them all. I wish I weren’t a gadget girl, but I think that is what I have become. This is something I’ve never seen before. Thanks for all your great tips, I love them. I’ve never see these reviewed before – wondered if they were a good tool. Thanks for the information. Whoa! How fast can I order these? What genius came up with this idea – is she/he a quilter – or just tired of having scorched fingertips! Keep the great ideas coming Lisa – glad you’re watching out for us. I have never seen this before….thanks Lisa for l the great tips!! looking forward to more great items! This is one of the best notions I’ve purchased! I use the 18″ the most, as I can easily put it in my bag and take it to sit & sews. What a cool item! I’m going to have to get one. Have not seen or heard about this gadget! Would love to have one!! Brilliant!!! I have never seen these before and they are a must have! 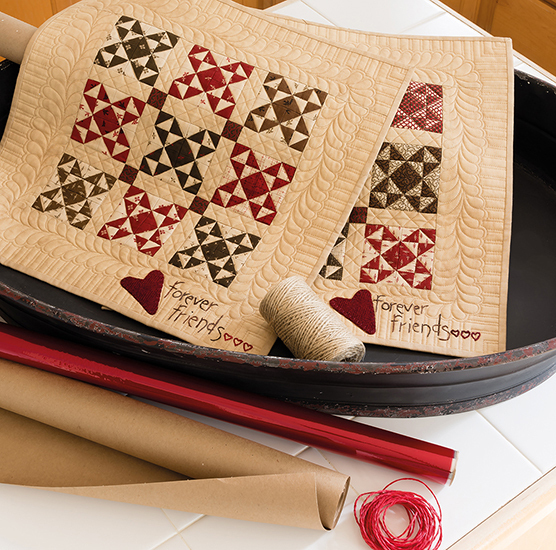 I am all for making the quilting process easier…and these look fantastic!! Thank you so much for sharing!